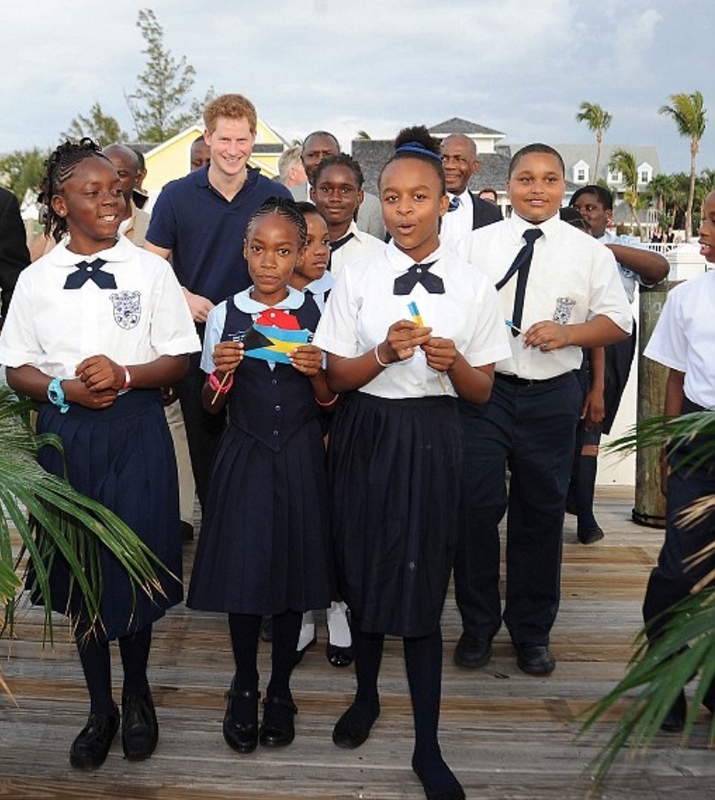 You may think of The Bahamas as a place that exists in a permanent state of holiday, however it’s not all fresh cocktails, island hopping and luxury resorts - there is work to be done and school to go to. So, this September as the world’s schoolchildren don their back-to-school backpacks, we thought we’d take you on an eclectic tour of island schools dotted throughout our colourful archipelago. Stick around, you’ve got a lot to learn, first stop is Harbour Island! Mick Jagger sips a cocktail overlooking the world-famous pink sand beach where Sports Illustrated models frolic in the surf and India Hicks gallops a white horse to her yoga session. Harbour Island may be home to the world’s most glamorous jet set, but it is also home to a lucky bunch of regular island schoolchildren. The Harbour Island All Age School in Dunmore Town was where George Cole, “the father of Bahamian education” really made his mark. Cole began his teaching career in Harbour Island in the 1860’s and under his leadership the school became a premier institution throughout the islands. 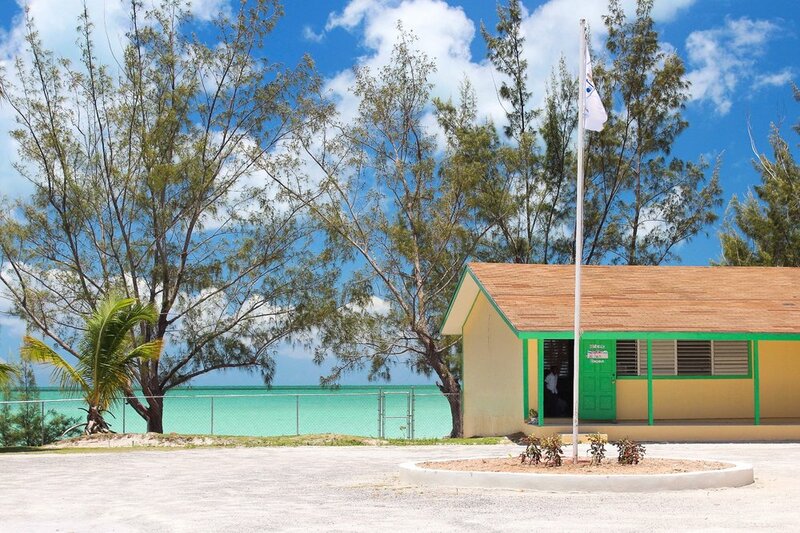 From Harbour Island, catch a water taxi to mainland Eleuthera and drive 150 km south down The Queen’s highway - the only highway on this narrow strip of island - enjoying stunning views of the roaring Atlantic on one side and the azure flats of the shallow banks on the other. Why? 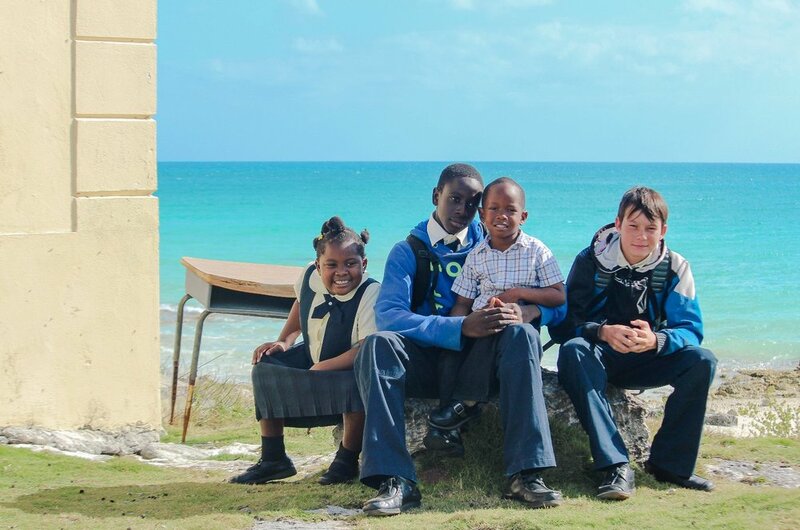 To reach The Island School on Cape Eleuthera, one of our most progressive institutions, designed to teach sustainable living through first-hand engagement with people and the environment of The Bahamas. Imagine rising with the sun for a run to the marina, tagging green turtles till noon, an afternoon in the wet lab measuring invasive Lion Fish topped off with a delicious supper complete with fresh, seasonal veggies from the on-site aquaponics system! Beats staring at old maps in a textbook. 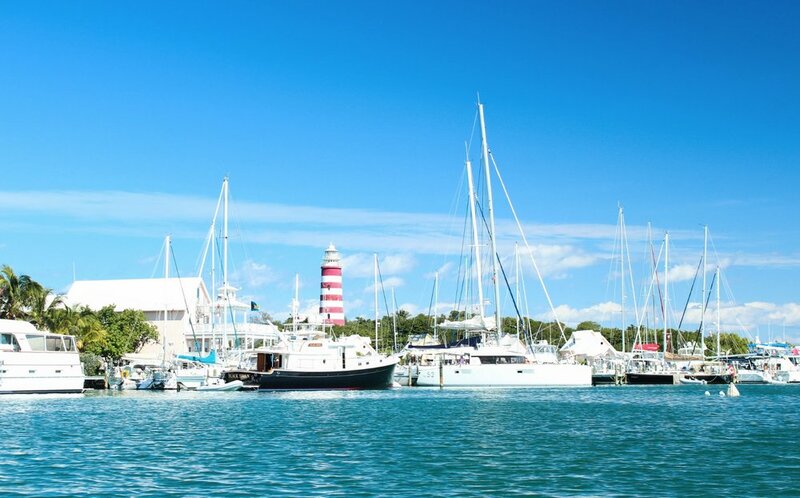 Separated from mainland Abaco by 10km of gin clear waters, Elbow Cay is known for its charming settlement, Hope Town. Hope Town, a welcoming cruisers paradise, has strict building controls and a ban on cars making it a delightful village to explore on foot. Recognized for its iconic candy-striped lighthouse and colonial island cottages Hope Town makes for a very popular destination for relocation by Americans. 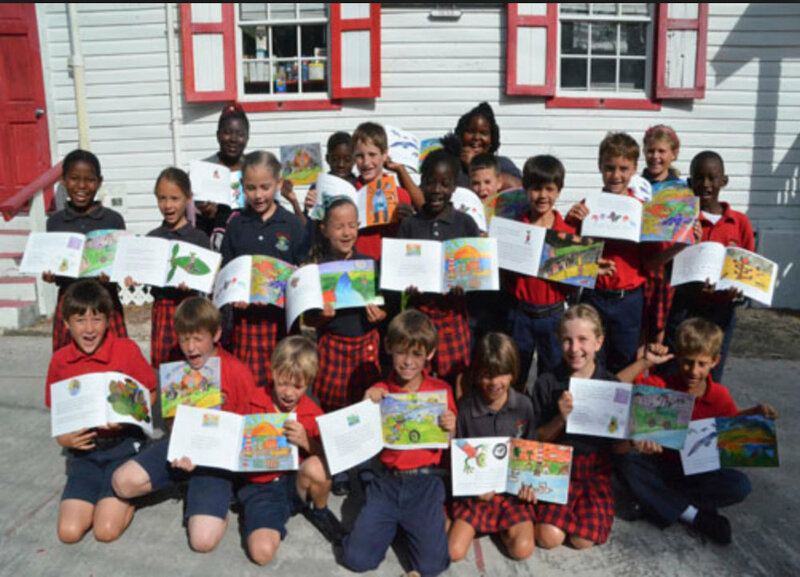 The Hope Town School gives newcomers confidence in their children’s education. This sturdy little school was built on its present location in roughly 1893. The hand hewn corners and the cement pillars are a testament to the Loyalists’ skill. They built the main hall of the school out of timeless, Abaco pine. Through the continued efforts and support of the local community, this proud historic educational institution plans to be around to see many more generations of children succeed. New Providence, our capital city is teeming with urban-meets-island life. From bankers to straw vendors, everyone starts somewhere and many a grand career has been launched in the grounds of historic Xavier’s College. A Roman Catholic School, Xavier’s was established by the Sisters of Charity in 1889. It was the only girls' school in The Bahamas and was the counterpart to St. Augustine's College, which was an all-male Catholic school, administered by monks and Catholic priests. In 1967, St. Augustine's College merged with Xavier's College and became a co-ed high school. Through its doors have passed thousands who have contributed significantly to the life and growth of The Commonwealth of The Bahamas. The home of traditional Rake ‘n’ Scrape music, the heart of Bahamian culture beats strong in Cat Island. With approximately 800 inhabitants, the island is far less developed than other major islands, but Cat Islanders make up for this with a wealth of tradition and acres of unspoiled landscape. New Bight School caters to the next generation of Cat Islanders, lucky enough to have their classes within skipping distance of the lapping ocean. At Cacique, we love to tell stories about the characters and places that colour the rich tapestry of our Bahamian history. For more information on cultural experiences with Cacique International, please contact us.